The weather has been quite good on the pier. That led to thousands of visitors. This is a picture from tuesday the 23:rd. Visitors everywhere. 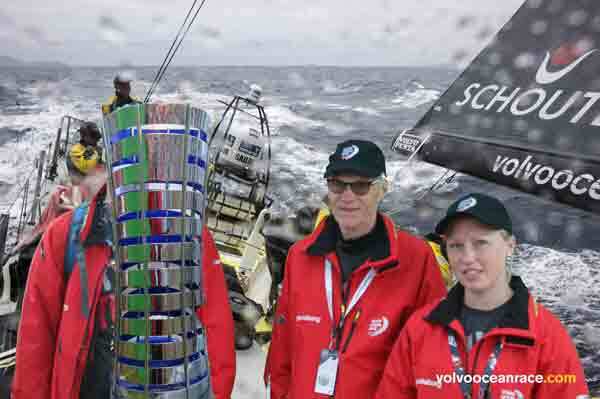 One popular attraction was taking a photo with the cup in your hand and with a racing sailboat and crew in the background. I think there where taken thousands of pictures on Trophy and leaderboard. 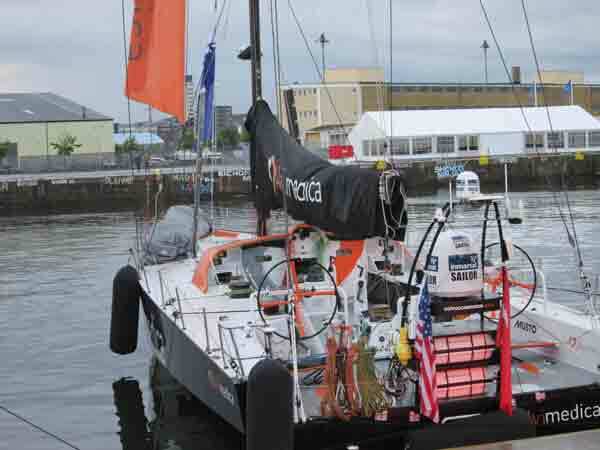 Team Alvemedica won the last leg but Abu Dhabi ocean racing got the leading position at the moment. The last fight is on saturday for the inport race where team SCA usually wins. 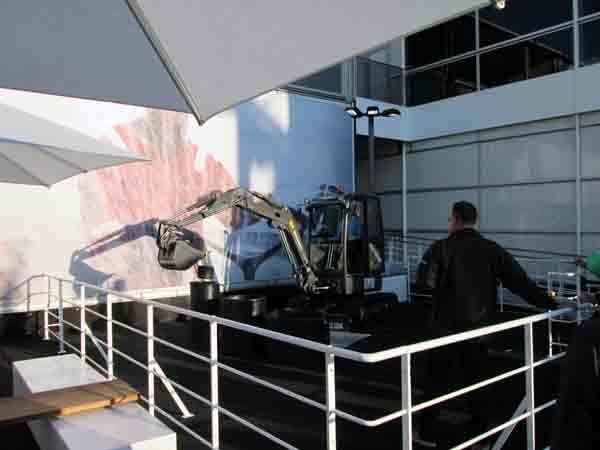 At the moment you got hundreds of different activities on the pier like trying to break the record for mini excavator. Right now the record where broken in Abu Dhabi where one competitor managed to get all five buckets into a small container on 29 seconds. In Gothenburg no one made it faster then 45 seconds. A demonstration from one of the helpers on this attraction. 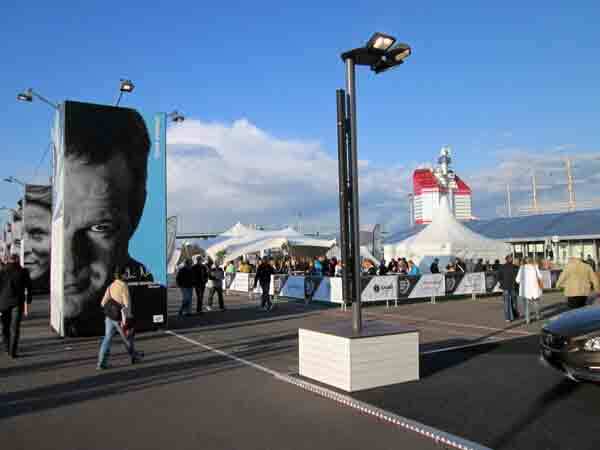 Another exciting feature was this sailing simulator where you are able to try one of the vor65. 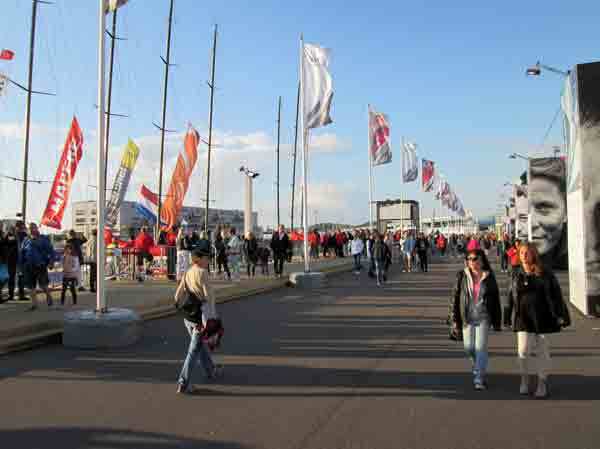 There is also a lot of restaurants, cafes, pubs and performances on the pier.